Julie Spears began working in the oncology setting as a nurse assistant and nurse extern in the oncology/hospice unit at St. John Medical Center in 2000. She later received her bachelor’s degree from Langston University in 2002 and continued to work as a registered nurse in the same unit. Spears worked in various leadership roles while at St. John, including serving as chairperson for the Quality Improvement Council and co-authoring the document that led to the eventual magnet recognition at St. John. 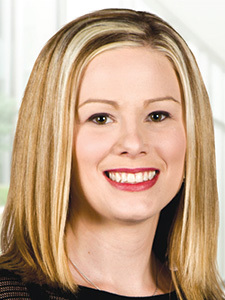 After graduating with a master’s degree from the University of Oklahoma in 2010, she began to work as a clinical nurse specialist at Oklahoma Cancer Specialists and Research Institute, where she has since been promoted to Lead Advanced Practitioner.